But it doesn’t take a rocket scientist to look at the research and see through the lies. Here are just a few research studies showing that the carbohydrates in your diet alone have A LOT to do with your thyroid health. Isocaloric carbohydrate deprivation induces protein catabolism despite a low T3-syndrome in healthy men. And carbohydrates are not the only part of your diet that affects your thyroid function… not by a long shot. So, why would pharmaceutical companies lie to you? If you owned a gasoline company, would you recommend everyone buy an electric car? Electric cars don’t use gasoline. You would want people to buy gasoline, and a lot of it. They want you to use their drugs and they want you to use them for the rest of your life. If they were to recommend dietary changes then it would hurt their bottom line. But what happens when you’re left to continue struggling with your symptoms when their drugs don’t work? Nine out of ten times doctors will just tell you to go home because you’re perfectly fine or even tell you that it’s all in your head. I’ve had clients who were referred for psychological evaluation after insisting otherwise. The truth is that drugs are not designed to cure and will never be able to compensate for an unhealthy diet. Yes, we’re all obsessed with being told what to eat and what not to eat. But this kind of over-simplified dietary approach is an easy way to fail before you ever even get started. You see, the above approach is missing some very important pieces to the puzzle. Pieces of the puzzle that can make the difference between failure and success. But most clients I’ve worked with have been completely ignoring them. It’s a big reason why nothing they’ve tried has ever worked. And never will work for that matter. Fortunately for me, I learned firsthand just how powerful the right diet can be. It’s no wonder I used to come home and pass out on the floor. My diet was completely unbalanced on almost every level. And to make matters worse… today there are so many fad diets out there that are taking these imbalances to the extreme. It’s undoing all of the misconceptions and misinformation that they have come to believe on their health journey… misconceptions that tend to cause more problems than they solve. Sometimes you just have to get back to the basics so to speak. 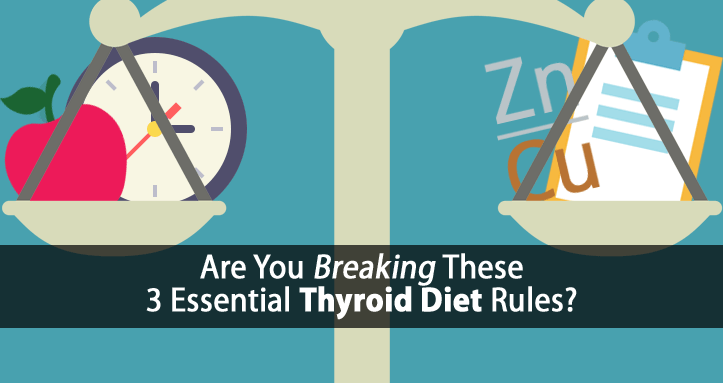 So let’s start with what I call these the 3 Essential Thyroid Diet Rules. The last one is a real difference maker. How your foods are paired and balanced together has a significant impact on your thyroid. To restore your thyroid health, balance is essential on all four levels. At Level 1, we have to balance thyroid suppressive foods/nutrients with thyroid supportive foods/nutrients. Even some of the most thyroid-friendly foods can contain small amounts of harmful nutrients. Take an egg for example. Today, egg-laying chickens are typically fed large amounts of thyroid-suppressive polyunsaturated fats (PUFAs). So, while an egg is one of the best sources of essential thyroid-boosting nutrients, it can also contain more PUFAs than desired. By cooking the egg in a thyroid-supportive fat like butter, we can better balance the PUFAs and greatly reduce their harmful effects. Of course, we still want to minimize thyroid-suppressive foods/nutrients as much as possible. At Level 2, we have the balance of protein, fat, and carbohydrates in your diet. Today dieting has become so extreme that it has become extremely dangerous. On one side of the spectrum, we have the low-carb dieting craze. Yet, carbohydrates play an essential role in regulating your thyroid and metabolism. The bottom line is that low-carb diets are not balanced and they actually promote hypothyroidism. On the opposite side of the spectrum we have vegan dieting. Both your liver and thyroid require 70 to 100 grams of high quality protein every day just to function properly. Without adequate high quality protein, your thyroid doesn’t stand a chance. This is why so many vegans quickly develop hypothyroidism due to protein deficiency. At Level 3, we have to balance the types of protein, fat, and carbohydrate we eat. For example, not all proteins are created equal. There are proteins rich in thyroid suppressive amino acids such as tryptophan or cysteine. Thyroid peroxidase activity is inhibited by amino acids. “some amino acids (cysteine, tryptophan and methionine, 50 microM each) also inhibited the TPO iodide oxidation reaction completely” There are proteins rich in thyroid healing amino acids such as glycine. Over-eating the wrong proteins and under-eating the right proteins can also promote hypothyroidism. The same goes with fats and carbohydrates. The types of fats and carbohydrates must be properly balanced as well to give your thyroid a fighting chance. At Level 4, we even have to properly balance micro-nutrients or they can inhibit thyroid function too. Calcium must be properly balanced with phosphorus. Copper must be properly balanced with zinc. Hypothyroid sufferers tend to be quite deficient in calcium while over-consuming foods high in phosphorus. This stimulates the release of parathyroid hormone (PTH), which disrupts thyroid function in many ways. Balancing all 4 levels is not an option… it’s essential. 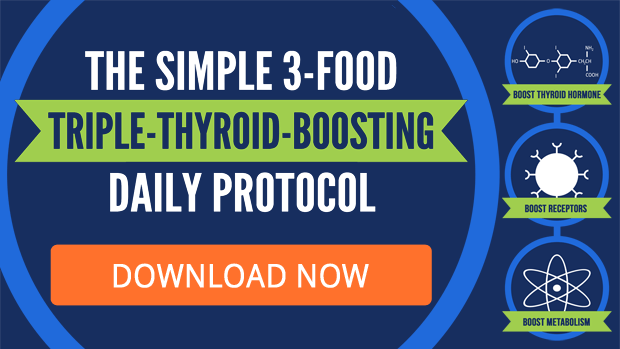 And if you’re looking for a good place to start then make sure you check out the 3 Food Triple-Thyroid-Boosting Daily Protocol. You can get all the detail about this triple-thyroid-boosting protocol right here. The timing of your meals also has a huge impact on your thyroid. And this has everything to do with the liver issues that develop as a direct result of your hypothyroidism. When you become hypothyroid, your liver loses its ability to store glycogen, which causes you to lose the ability to regulate your blood sugar. This causes your body to unleash a flood of thyroid suppressive hormones like adrenaline and cortisol to keep your blood sugar stable. 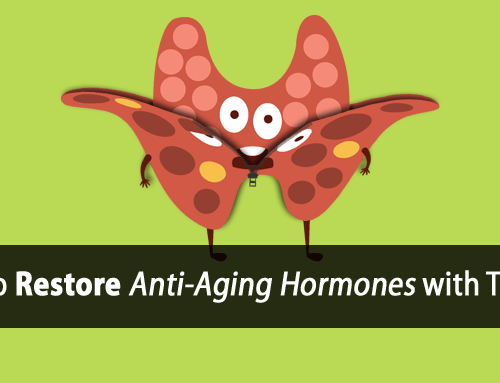 These hormones are well known to suppress your thyroid function, particularly by further inhibiting the conversion of thyroid hormone at your liver. Many aren’t even aware of their blood sugar problems because these thyroid-suppressive hormones are designed to prevent your blood sugar from falling dangerously low. But, if you’re relying on adrenaline and cortisol to keep your blood sugar stable… then your thyroid doesn’t stand a chance. When you’re hypothyroid, you can’t rely on your liver to regulate your blood sugar for you. So, you have no choice but to regulate your own blood sugar by both the balance and the timing of your meals until your liver function improves. For most thyroid sufferers, this means smaller and more frequent meals are essential. You can eat the most nutritionally balanced meals… but if you’re not eating them at the right times, then regulating your thyroid function is nearly impossible. Most people who follow any sort of thyroid diet do so simply because they believe it is healthy. Unfortunately, we can’t judge the true results of any diet simply based on beliefs, or even how you feel. There are many diets that drive your adrenaline through the roof. Since adrenaline is an excitatory hormone, you might feel more energy initially. But the adrenaline inhibits your thyroid function and eventually you’ll crash or develop other thyroid symptoms. So, how do you know whether or not your diet is really working? How do we determine the optimal foods, balance, and timing that works best for you? Can you hook yourself up to some sort of thyroid meter and directly measure the results of your thyroid diet? I teach my clients’ to use Thyroid Feedback Testing to measure exactly how their thyroid responds to the foods they eat, supplements they use, the timing of their meals, etc. 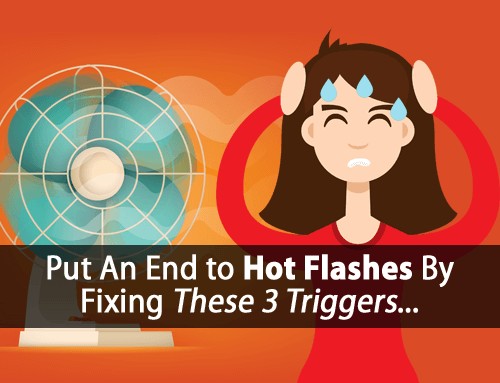 This way they can learn how to adjust and fine-tune their diet for optimal thyroid function. All it requires is a thermometer and a watch, or pulse oximeter, to measure pulse. For example, we can measure how your temperature and pulse respond to a number of different foods/meals to determine the ones that work best for you. We can also measure how your temperature and pulse respond to the timing of your meals to determine the optimal times you need to be eating. Does your temperature rise or fall after a meal? Does your temperature rise or fall from the end of one meal to beginning of your next? Using Thyroid Feedback Testing to tweak your thyroid diet really can make all the difference. It surely does with my clients. If you’re serious about getting real results with your thyroid health, then I highly recommend you begin using these 3 Essential Thyroid Diet Rules. It doesn’t have to be difficult or complicated. That’s why I break everything down for my clients into simple step-by-step done-for-you protocols, meal plans, resources, etc. I know tryptophan can be found in turkey, but what proteins contain the cysteine or methionine? Most muscle meat contains cysteine and methionine: chicken, beef, and pork. You get the balancing proteins you need from the bones and organs. Hypothyroidism is less common in populations that eat the whole animal. Hi Tom, I’m your fun & follower, trying to improve my hypo. Have a big bunch of problems. Looks like the thyroid is our everything! 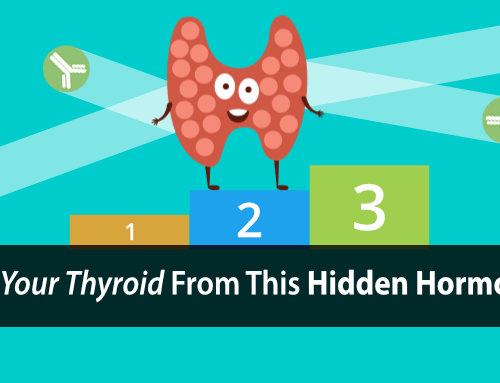 The only healthy people are w/ good thyroid? I did fix a little my symptoms of arrythmia (low injection fraction) with magnesia, taurine & citrulline(500mg each on empty stomach). Now taking lysine, proline & v-C also 500 of each on empty stomach. Steel have a lot of heart issues. Love fats (which I have enough -like butter, cream, cheese, sour cream(? ), coconut oil and EV Olive oil. Also have eggs, some meat, some fish, some plant proteins. also love tomato, pepper, potato, corn. How can I say if it balanced or not? Are any of these food suppress my thyroid? If yes – what to eat -only OJ, coffee, carrot & broth? I started those aminos before I met you, don’t know if I should continue. Docs. only gave me betablokers. 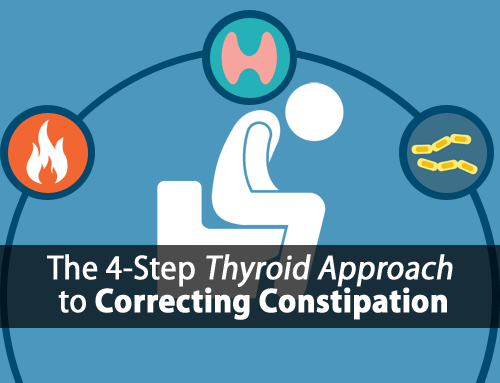 “I teach my clients’ exactly how to measure how their thyroid responds to the foods they eat. Was wondering which blog goes with this statement? What about food intolerance/allergies? I’m allergic to egg and will have eczema outbreak if dairy is in my diet…so my choices of good protein are even more limited. How can I adapt my diet to meet your food/diet advice for thyroid problem? Hi Chinglem, toxicity is a concern as there is little regulation of sources. i think I understand you very good and as I am myself a healer let me state this for everybody here. I started the 7 day diet plan for 3 weeks now, before I had severe panic attacks. Through testing Puls and temperature I know having a thyroiditis. As you all will start the diet and go often to Facebook reading all recommended your body will find it’s way to healing. There is also a higher or deeper intelligence within you guiding you. It is your inner will and love for yourself to heal. The diet is the tool.Just forget everything you heard about proper dieting and give it a try. You only have to loose your fear, switch to healing. Is it ok to take Collagen protein with thyroid hormone . I bought your book, with CD and Exercise book several years ago. I made a change from an endocrinologist to finding a, new to the area, Integrative Functional Dr. She diagnosed Hashimotos in 2011. Your info helped at the time also. I now am recently retired from teaching. I have time to reread the info and trying to understand and implement the diet. I had not used your support sources back when. Is there a way to get more of the support? My Dr. Went back to a ob-gyn practice. A 140 mi round trip to find another. I am hoping to make sense of the last labs in 2015 for Pre D and NutrEval. They show insulin 4.9 and lepton 27.2 or resistance, inflammation TPO was down, ha-CRP FROM 10 to 1.10 and PAI-1 in 2013 was 40, but 107 in 2015. I am taking additional B1, B6 (in my Adrenal Support), B12, zinc(just added again), D3 with K2, Magnesium (again after rereading), a LifeAdvantage product with Ashwaganda, etc.in it. I am on Armour Thyro 30 mg. 1 &1/2 in AM and 1 @4:30 PM. I am gaining weight, 10-15#, suddenly after having 6 months of various therapies for frozen shoulder(which I had after broken humorous at the ball joint, left and right in ’09 and ’10). My reading research says doing an HCG protocol diet again is not wise for the thyroid. I am spending a lot of time trying to sort thru understanding (implementing around husband) diet, older test results, plus my supplements. It is time to get a refill in one month, which she will do without testing. I am wondering if I should be retested for all Hormone levels. Tsh, T3, Reverse T3, etc. Temps are usually 97.5 in AM, steady to 97.7 after breakfast, 3PM is anywhere from 96.3 to mostly 97.7 and occasionally 98.3. Online info is much more extensive than 4+ years ago. My free T3 2.63 to Rev T3 @ 14 and T3 Quant. 89.8, so ratio is a .10, showing less than the > .20 used as optimal range, indicating a need to flush the excess Reverse T3 in my body? I am 63, 5’5″. My main concern is weight gain, cold hands and feet. at least I didn’t find it..
What is the scoop = to 1 teas or 1 tbls.? on this. Love your solid informative site. Best I have ever seen. Hi Robin, sometimes the scoop gets buried toward the bottom, but one scoop is just over 2 tbsp. In most of our recipes, we use it by the tbsp. Broth and/or collagen protein are great to use for this purpose. High Tom, I was wondering if avocados are alright to eat? Cant remember if they are yes or no and could not find where your recommendation of them is.